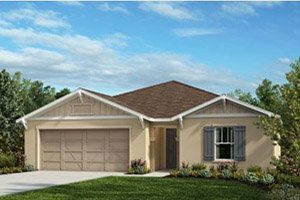 SARASOTA, FLORIDA, April 2, 2019 – National builder KB Home has launched its fourth community in Southwest Florida, providing yet another indication that there is steam left on the market growth of Bradenton and Sarasota homes for sale. Opened to buyers in February, this new real estate development called Avaunce is located in east Bradenton near the northwest corner of Lorraine Road and State Road 70. 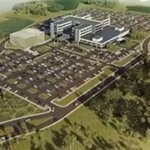 Significantly, several other residential projects are set near Avaunce’s location which is about 3 miles east of Interstate 75. 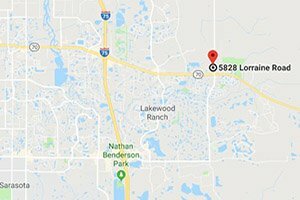 Two national homebuilders—Lennar Corp. and Taylor Morrison—also have pending projects around the vicinity of the Premier Sports Campus near the eastern flank of KB Home’s Avaunce development. Just west of Avaunce’s site, another housing titan—D.R. Horton—is also notably building in the new community of Palisades. Several well-established communities in Lakewood Ranch likewise share this east Bradenton locale. Just south of the KB Home project spreads the Greenbrook Village off south of State Route 70. Northwest of Avaunce, the domain is mainly that of the Esplanade Golf & Country Club at Lakewood Ranch. Set as a gated community with no CDD fees, Avaunce is poised to draw its share of prospective buyers of Bradenton homes for sale. Waterfront home sites are set in this community, along with several amenities such as a pool and cabana. The price points of Avaunce homes for sale are attractive as well, starting around the upper $200s. At the 139 lots which KB Home platted in this community, it will build one- and two-story residences. This Los Angeles, California-based builder is offering to prospective buyers of Avaunce homes for sale, eight distinct layouts measuring from about 1,200 up to 3,000 square feet good for three to six bedrooms. These homes’ design features include open floor plans and stylish master suites. KB Home employs a home-building process allowing buyers to personalize their choices based on their budget and personal style. This builder has design consultants in its Design Studio to guide buyers on all aspects of its building process and on selecting from a variety of design options including those for cabinet lighting, appliances and window coverings. For Southwest Florida, KB Home has a design studio in Tampa. Besides Avaunce, this studio is also available for buyers in the builder’s other developments in the region: Stoneybrook in Venice; Tuscany Isles in Punta Gorda; and Coves of Estero Bay in Fort Myers. KB Home delivers to buyers builds which were constructed to current certification standards of ENERGY STAR®. WaterSense® labeled faucets and fixtures are included in this builder’s package, thereby making the new KB homes more energy- and water-efficient as compared with most typical new and resale residences. With such efficiency, it is estimated that homeowners of KB builds can save between $888 and $1,608 annually in energy costs. The quality of life in KB Homes’ Avaunce gets a boost as well from its proximity to road corridors, like Interstate 75 and State Roads 64, 70 and 30. Besides providing access to various points of interest around Bradenton and Sarasota, the nearby road network likewise open the gateways to St. Pete and Tampa. Soon, trips to these destinations could even be minimized, as plans are underway to develop new county facilities in East Manatee, specifically in the acreage of the Premier Sports Campus a short distance east of Avaunce. The county has purchased this campus and is acquiring a parcel adjoining it. The plan here is to develop the area into a complex called Premier Park featuring not only recreational facilities but also county offices.